For the sixth talk in the annual UQ Architecture lecture series, founder and director of Robeson Architects, Simone Robeson, shared her strategies on how to live large on a small lot. Flexibility, context and suitability to the client are the drivers behind the clever architectural thinking of Robeson’s small footprint projects. These architectural drivers seem to stem from her identification of Perth’s growing population and their resistance to embracing medium to high-density living. As such, this resistance is contributing significantly to urban sprawl. Robeson views the contemporary issue of urban sprawl as a parameter that can produce an architecture designed for the future; not so much in regards to resale but in regards to the buildings future use and ability to produce income through sub-­‐leasing, Airbnb or an office space. She hopes her projects prove to the general public that small foot print inner-­‐city dwellings can be beautiful as well as functional and be a much more attractive alternative to a project home. Flexibility was a recurring theme in Robeson’s talk, not just in her architecture but also in her firm’s business structure. Robeson’s decision to remain a boutique firm allowed her to focus on delivering a high standard of architecture and (on a personal level) high job satisfaction by remaining heavily involved in each stage of a project. With her business values defined, Robeson is comfortable to take on a select few projects each year and only employs contractors on a per project basis. Robeson openly admitted that this business structure was difficult to initially adapt to, as there was desire to expand the firm, however her clear understanding on what she wants to deliver in the world of architecture provides her with flexibility in her business and work lifestyle. It was refreshing to hear an established architect share their journey of architecture through a business perspective. It was also enlightening to see that flexibility was not just a buzzword for her designs, for her it is a lifestyle. During the lecture, it soon became clear that Robeson designs contemporary architecture for the contemporary lifestyle and context. 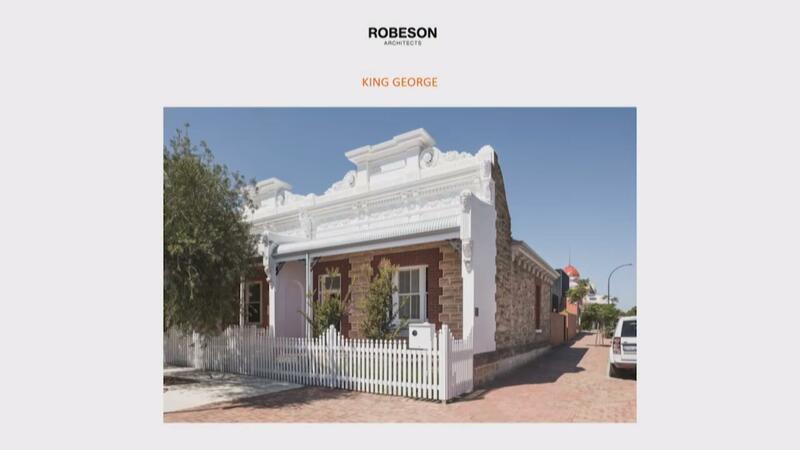 Two designs showcased in the talk, Triangle House and King George rebelled against traditional requirements and ideas for resale and instead capitalised on the idiosyncrasies of each small site. Her best known project Triangle House capitalised on its surrounding context through intentionally positioned windows with uninterrupted views and a level of privacy, as well as maximising floor area, which in turn created the landmark shape of the dwelling. Similarly King George project capitalised on the mixed-use zone overlaying the site and embraced the restrictions of the heritage listed building. The result was an adaptable dwelling that could be altered into two compartments, allowing the opportunity to reside at one end and have the other to either host visitors or to be subleased. It was a pleasure listening to Robeson discuss ideas and processes for designing with restrictive sites. Robeson said the main aim for her projects are to provide noble alternatives to project homes for inner city living. Upon reflection, it is fair to say that her projects achieve this and are examples of how to live large on a small lot, but more than anything the projects, and Robeson herself, are fine examples of how to be unafraid of challenges that arise in the nature of architecture. 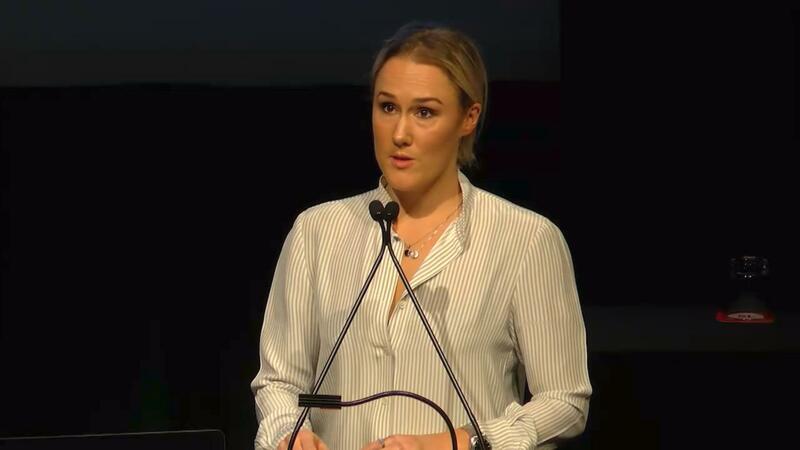 This article by Georgia Birks was based on the lecture presented by Simone Robeson as part of the 2018 UQ Architecture lecture series event on 1 May 2018.